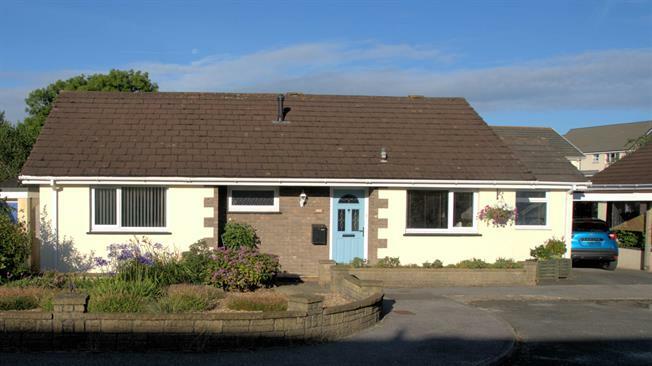 2 Bedroom Detached Bungalow For Sale in Truro for Asking Price £315,000. A fantastic opportunity to acquire a beautifully presented 2/3 bedroom detached bungalow. Set in the heart of Threemilestone and within walking distance of local shops and amenities, as well as transport links. The property has been extended and updated over the last few years and now presents itself as a very attractive property. Entrance via part obscure double glazed door. Cloak cupboard, storage cupboard further cupboard housing wall mounted gas combi boiler. Loft hatch with pull down ladder. Radiator. Double glazed window to front elevation. Range of wall and base units with earthstone worksurfaces over. Stainless steel sink and drainer unit with mixer tap over. Spaces for fridge/ freezer, cooker and dishwasher. Double glazed window to front. Double glazed door giving access to rear garden. Range of wall and base units with worksurfaces over. Stainless steel sink and drainer unit with mixer tap over. Space for washing machine and tumble dryer. Radiator. Double glazed windows to rear, double glazed French doors to rear garden. Electric Veluxe window in vaulted ceiling. Gas coal effect fire with wooden surround. Radiators. Laminate flooring. Obscure double glazed windows to side and rear. Three piece suite comprising shower cubicle with tiling to splashbacks. Low level WC, vanity wash hand basin. Extractor fan. Double glazed windows to front. Radiator. 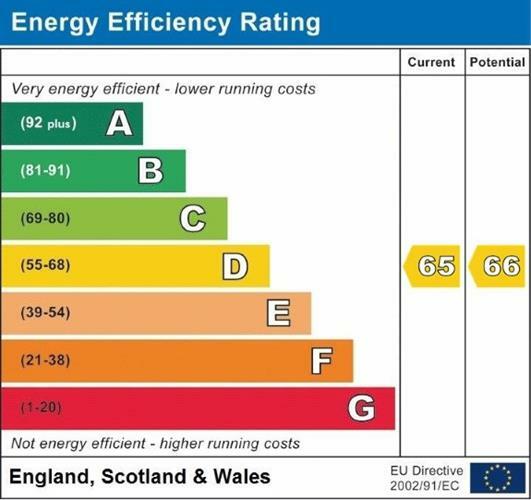 Fitted double wardrobes. Three piece suite comprising Panelled bath with shower over. Low level WC, vanity wash hand basin. Extractor fan. Radiator.